Glutamax™ is the combination of nature's own powerful detoxifying sulfur compounds. Sulfur is a mineral element. Sulfur makes up 0.25% of human body weight and occurs widely in nature, being present in every cell of both animals and plants. 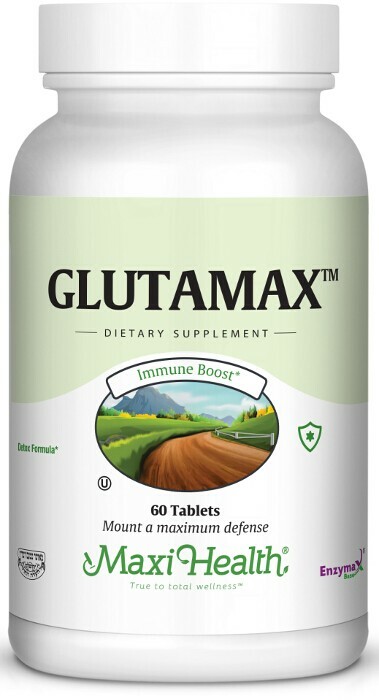 Glutamax™ contains the key antioxidant glutathione, an amino acid that you may have trouble getting from your diet. Glutathione acts as an antioxidant. We then combine the benefits of Glutathione with NAC (N- acetylcystine ) and Earthrise® spirulina . Try Glutamax™ from Maxi Health Research®. Take one (1) tablet one to three times daily after meals, or as directed. NewGar® is a registered trademark of Nature*4*Science.